Beat Research looks to remain in high gear (with more low end than ever!) for the rest of the spring, maintaining our beast mode pace with some BIG guests coming thru over the next month or two. Among others, as I’ll detail below, our spring line-up will include such wreck-shopping luminaries as Chicago juke alchemist DJ Rashad (4/4), veteran (and still #1) Boston reggae selector Junior Rodigan (4/17), and NYC bhangra ambassador DJ Rekha (5/1). We’ve been wanting to get all three of these masters of their craft to BR for a while, and I almost can’t believe it’s all going down in the next five weeks. Do help us set the experimental-party off if you’re in the area. First, don’t forget that we’ve got the mighty Chief Boima in the house tonight, March 28! Check out this awfully nice post he put up for some context. Suffice to say, we’re just as happy to give the man a well-deserved platform. (And maybe to claim “First!“) I’m definitely a what-goes-around type of guy, and so I couldn’t be more pleased that Boima will also be giving a lecture in my global hip-hop class at Brandeis tomorrow night. He spent some time in Liberia last year, and I’m looking forward to hearing more about such thorny but important questions as how to ethically endeavor to play musical middleman. 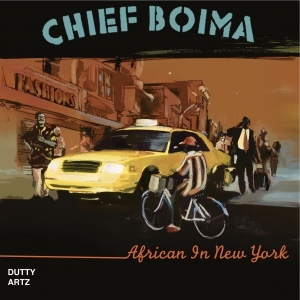 Let me remind that Boima’s got a new release out on Dutty Artz called African in New York, which is great. But if you come to the club tonight, you not only get to hear tracks like those, you get to hear lots of other stuff they’re webbed up with in Boima’s memory (and his hard drive’s). In conjunction with the good people at Cluster Mag, and the Together Fest, we’re doing two things we don’t usually do: we’re conducting Beat Research on a Wednesday, and we’re asking for a modest $5 at the door. But, boy, what we have in store. We’re enthused to report that our guest for the Fest will be DJ Rashad, one of the biggest players in the Chicago juke/footwork scene, especially with regard to its movement in the wider world — thanks in no small part to his releases on Planet Mu. And to top things off, erstwhile/occasional/forever Bostonian and all-around force of awesome, Max Pearl (aka Kat Fyte), will help us get things started right. Our big guest on April 17 should need no introduction, in Boston or beyond, but he sure deserves one. Taking his name from the legendary David “Ram Jam” Rodigan (aka Father Rodigan), Junior Rodigan moved to London from Iran as a kid and became totally enraptured by his namesake’s radio show, which gave him quite an education in reggae during his formative years. He moved to Boston as a young adult, and started rocking parties around town beginning in 1986, steadily building a solid rep.
For a short time in the early 90s Junior worked as a ragga-hiphop vocalist, recording for New York and Boston-based labels, and he owned and operated his own reggae store, Vibes Records, on Blue Hill Ave for more than a decade. Since the late 90s, he’s devoted nearly all his time to DJing, and these days he’s known as the drive-time DJ on Big City FM, Boston’s premiere Caribbean community radio station. Junior’s a longtime point-man for nuff visiting artists from Jamaica, with whom he has some serious rapport (see, e.g., 2min in: “me wan some original old time medley right now!”). Man talk the talk, seen. Of course, Junior is a master of up-to-the-time chunes and classic catalogue numbers alike. For his special appearance at Beat Research, he’s going to do something he rarely gets to do on the radio or at gigs and dig into his deep crates in order to play cuts exclusively drawn from the foundation labels, Studio One and Treasure Isle, on which so much subsequent reggae is based. It’s bound to be a serious vibes. Once again, a great opportunity to experience this music as it was intended to be: as palpable, vibrational force. This is quite a historic month for Junior, as it happens: just a couple nights earlier, on April 15, he’ll be holding a 25th anniversary bash at the Russell Auditorium featuring Stone Love & Steelie Bashment. If I were you — indeed, if I were me (which I am) — I’d want to catch both these events. Oh, and we’re gonna have the added support of another DJ who’s held the torch for reggae here in Boston: Selectress Irie-La. It’s gonna be quite a night, fi true. So yeah, a seriously fun month+ ahead. Do join us! More info will follow. And you might end up with an earworm. I’m saying, the automaticity of musical memory ain’t nuttin to ckuf wit. Of course, Yellowman’s earworm par excellence, at least for this happy host, is the ol’ zunguzung meme. I can’t seem to go long without encountering another iteration. In fact, I came across two in the last month, and they’re both worth sharing here (instead of just embedded as comments on a running tally of a post). As you see, some serious rub-a-dub a gwaan as Yellowman — sporting yellow shades no less! — riffs on “Nobody Move” (later sampled for Eazy-E’s debut) and starts singing “ooh-wee baby” — a classically ecumenical nod to Frankie Ford’s (& Huey “Piano” Smith’s) “Sea Cruise.” Just as he gets going with the ooh-wees, a peal of machine-gun fire punctuates the performance. In response, King Yellow bellows “Jah!” And they wheel up the riddim as a second round tears through the night air. Relatively un-unsettled, the selector calls for the crowd to “seckle” before another gentleman explains that such gunfire is illegal and is only going to invite the police to shut things down. From there, he turns things back over to Volcano soundsystem, at which point Josey Wales is handed the mic and again asks people to please chill on the “explosion” and “seckle seckle seckle seckle.” And the session begins again, real nice like, as Wales gets into a couple crowd pleasing routines, playing on well-known melodies (“hula hoop, hula hoop”) and alluding to Muhammad Ali. About 3:20 into the video, Yellowman gets the mic back and he’s quick to deploy the zunguzung melody — “boogie fi me” — in service of grabbing people’s attention before launching into a fairly extemporaneous performance as “di mic MC,” shouting out his fellow DJs at the dance, various local spots and posses, as well as mobilizing a few important throw-away lines like “when me come a dance, me no chat fuckery.” Papa Toyan and other fun follow from there, but I’ll leave the rest to your eyes & ears. Funny as it may be, I’m pretty sure Run DMC’s “Roots, Rap, Reggae” (featuring Yellowman) is the first “reggae” song I ever knew. As an occasionally awkward and awfully chintzy attempt at reggae via New York, it’s an odd introduction in nuff ways. On the other hand, there are a couple moments in the song, especially during Yellowman’s verses, which make it a really excellent primer. One such moment is King Yellow’s wonderfully concise (if slightly defensive) assertion that “reggae music is not so strange” (which served as an apt epigraph to my dissertation). But it’s a different line that I want to draw your attention to here. Of course, that makes a lot of sense in a song with Run DMC, as if Yellowman wants to assure listeners that reggae really is not so strange — in fact, from a certain perspective, he suggests, it’s essentially the same thing as hip-hop. This is hardly pandering on his part, certainly by the mid-80s, when a great deal of reggae was just that: rapping over beats. But we can extend his definition even further — back to the pre-reggae days of ska and rocksteady even, to the early days of soundsystems and mic-wielding deejays, when Yellowman’s “talkover” forbears were rather profoundly revising what it means to make music in the age of its technological reproducibility. I’m hardly the first to propose that the conceptual and artistic innovations that emerge from Jamaican soundsystem practice, especially during the late 60s, deeply inform musical production and practice throughout the late 20th century and well into the 21st. Even so, I often find that this remains an underappreciated revolution. So it’s a lesson I’ve been trying to impart in my own classes, guest lectures, and other talks for some time. Of course, it’s hard to just talk about New York in this regard and leave out London. UK soundsystem formations — from faithful to faithfully mutated — are key to understanding the resonance and reverb of Jamaican soundsystem culture, and there are few who’ve done as stellar and vibrant a job of representing that side of the story as London’s Heatwave. You could say that I’m grateful to them too — as a teacher, researcher, and as a listener. I’ve been using their classic mix An England Story in my classes for years now. There’s simply no better resource for audibly apprehending the links that run through reggae, rave, jungle, garage, grime, and so on. So I’m pleased to note that the Heatwave has produced a fine supplement for me, my students, and unenrolled enthusiasts too: the SHOWTIME! DVD. 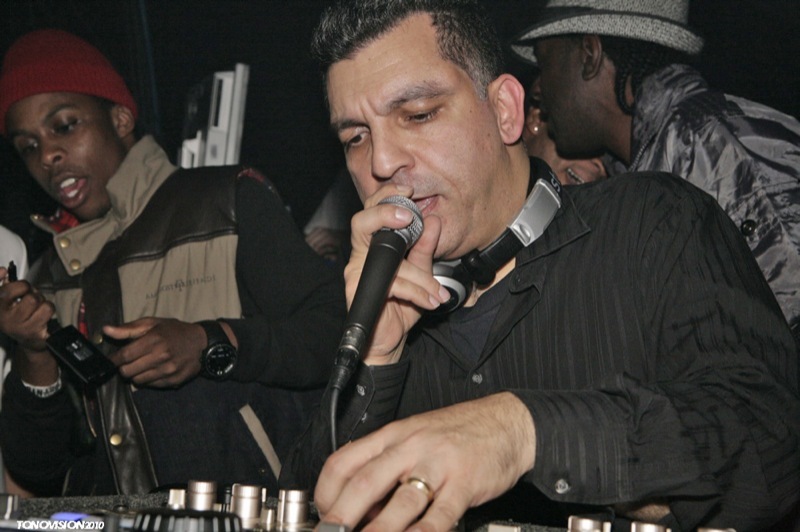 The DVD is gathered around a historic stageshow that the Heatwave presented last summer, bringing together an epic posse of UK bashment luminaries. Interspersed between the lively show segments are illuminating interviews with some pioneers of the scene, many crucial in forging a distinctly Jamaican-British accent. (I myself might have like to see & hear a little more from the hip-hop and grime scenes, which are represented thickly on the mix, but I can appreciate and respect the focus on reggae here.) As for further explicating the significance of the DVD and what it means, I’m going to leave that to the ever-sharp Dan Hancox, who published a deeply contextualized review just this week. “They must have installed it in me,” he says, referring to the ways that reggae (or, rapping to the beat) insinuated itself into him — and notably naming Yellowman as prime perpetrator (perpetuator?). Installed! I really love that. What seems at first like a bit of mispeaking actually proves entirely eloquent. He’s talking about enculturation, yes, but the slip of install for instill also says something about reggae as conceptual framework, reggae as software, reggae as operating system, reggae as memory. Rapping to the beat by any other name, no matter wot-u-call it. This Tuesday — TOMORROW! — we’re amped to play host to the Boston debut of Old Money Massive, a duo bleeding the edge of No/New/True Yorkness with their grimey, synth-riddled, patois-laced paeans to race, space, & place. What’s more, I’m told there might be another special guest in the house to drop some rhymes over beats so fresh & cool you’d think they were flash-frozen. Catch em on twitter / soundcloud / vimeo / etc. But if you’re in the area, catch em Tuesday at the Good Life. Help us give these guys a massive welcome from Boston, Mass. I’m happy to report, as exhorted about back in December, that Filastine & his collaborators, Nova & Tooliq, have completed the first of the two videos they successfully kickstarted. Colony Collapse is filmed at sites of ecological friction, the fault lines of conflict between humanity and (the rest of) nature. For examples we used…. Lapindo (Sidoarjo) Mud Disaster is an eruption of scalding mud and flammable vapors triggered by a gas drilling gone awry. It has buried more than a dozen villages and blocked a major highway, and is expected to keep expanding for the next 25 years. 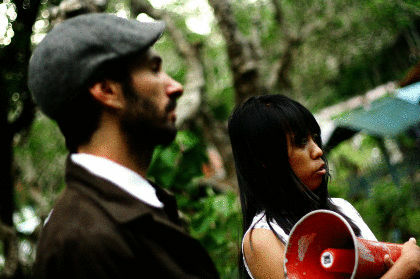 Lapindo is located close to the home town of the the director (Tooliq) and singer (Nova). Below a freshly shattered dam on the shoulder of Merapi mountain. This required a meeting with an important Islamic mountain shaman, who wanted to know we weren’t up to anything frivolous or disrespectful. After the vetting he sent his crew to guide and protect us, some men went upriver a few kilometers to warn us by mobile phone if a new flood was coming down. Bantar Gebang is a landscape of trash. Garbage stretches farther than the eye can see. Mountains, rivers, and even villages where the trash-pickers live. Not something easy to summarize in words. A supermarket nested in a mega-mall within a skyscraper. Air conditioning, shopping carts, muzak, just like any posh supermarket. But right outside is a the permanent traffic jam of Jakarta, a sprawling mega-city of at least 10 million. Thanks to the many who graciously tolerated us filming in the midst of their disasters: be it a sea of toxic mud or just the daily commute. Extra thanks to those who hosted, drove, filmed or loaned gear. And of course it wouldn’t have been possible to complete without all of you who contributed to the Kickstarter campaign.